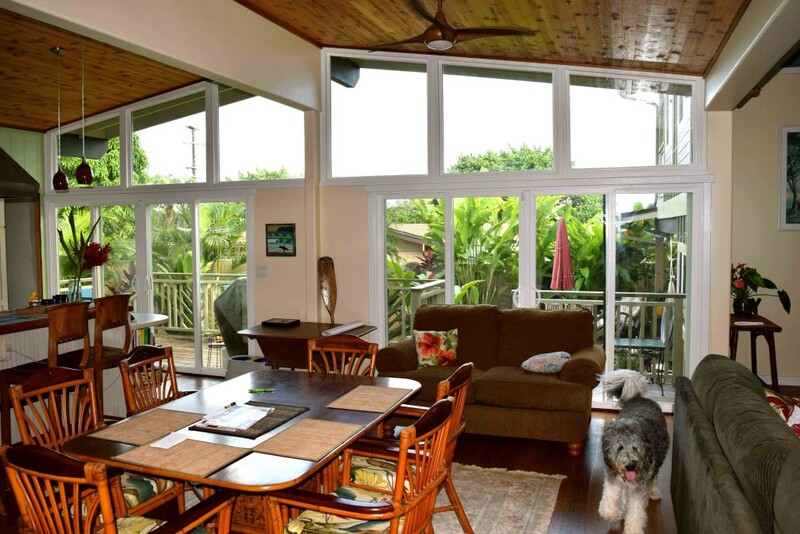 No other window in Hawaii can match the quality, strength, longevity and value of Makai Range Windows and Doors. 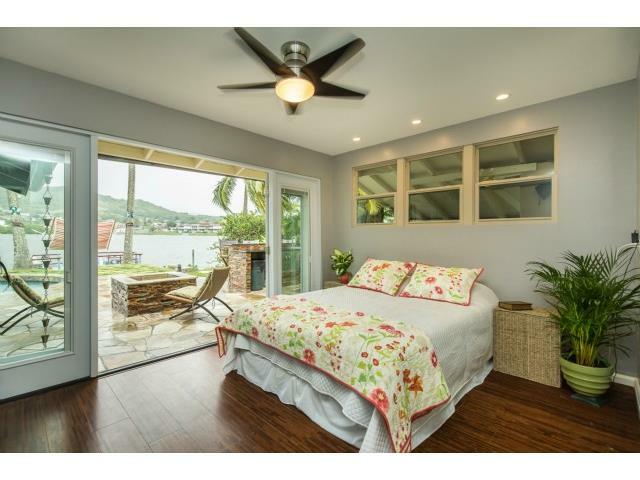 Makai Range Windows, sold exclusively by Discount Windows & Doors are specifically engineered for Hawaii. These products are designed for strength and to withstand our intense UV exposure, salt, humidity and weather conditions. 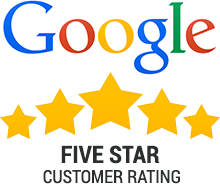 Thank you for taking the time to read through this brief summary of the benefits and features of Makai Range products which distinguish ours from all others. Makai Range Windows are available in all styles: horizontal sliding, single-hung, double-hung, awning, casement, picture, garden and bay windows. We offer sliding doors in various configurations. Window and door frames are available in white and almond as standard options but can also be custom painted to match your home and decor. A little history: Hawaii has some of the most extreme UV exposure on earth, capable of destroying all but the very best vinyl and our salt and humidity corrode metal. Prior to 2008, most windows sold in Hawaii were designed and built on the mainland. Existing vinyl frames frequently would yellow or become brittle with UV exposure, the thickness of glass used was woefully inadequate for use in a hurricane zone, no local window companies were selling windows with 100% marine grade stainless steel hardware, most screens were of poor design, and thermal efficiency was generally poor. Makai Range New Technology: In 2008 Discount Windows & Doors developed a window system using state of the art technology, Makai Range Windows and Doors. 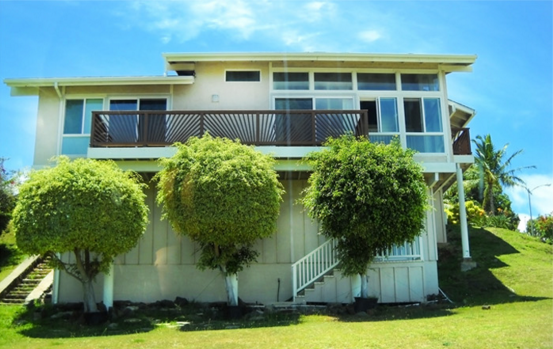 We improved every facet of existing windows, introducing a superior window system to Hawaii. Pure Virgin Vinyl, with it's high percentage of Titanium Dioxide, is the only vinyl able to stand up to the harsh exposure of Hawaiian sunshine. 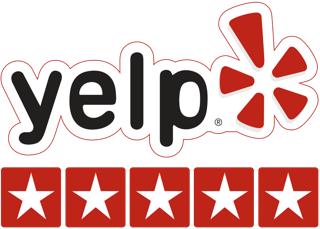 Marine grade stainless steel used throughout resists corrosion; high impact aluminum reinforced frames and double strength glass for strength and durability. 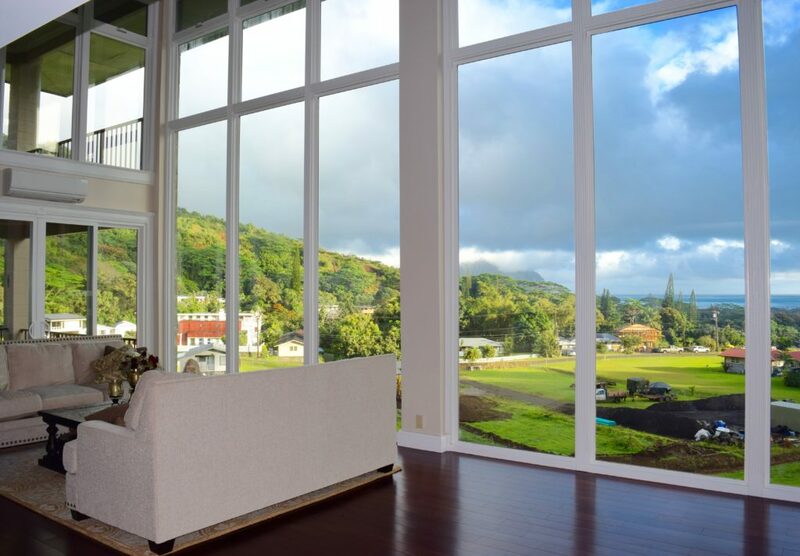 Our windows are like no other window sold in Hawaii. Salt and Humidity: The majority of homes in Hawaii experience varying degrees of salt exposure. The combination of high humidity and salinity in the air combined with tropical temperatures create an extremely corrosive environment. Makai Range Window and Doors are manufactured with the highest grade of stainless steel window and door hardware available to combat corrosion. Effects on Glass: Salt can also be problematic on glass causing etching and constant staining; salt also attracts moisture and dirt. By using Cardinal NEAT self Cleaning Glass, the problem is eliminated. Salt and dirt are easily washed off by simply hosing down these windows which dry virtually spotless every time. Makai Windows reduce the amount of incoming heat by using the latest high-performance glass in a double-paned, insulated glass unit. Virtually all homes in Hawaii have at least one an area that is hot during the day due to sun exposure. The average window allows most heat from the sun (infra red radiation) to penetrate. The solution is LOW E Triple Coat, which is specially formulated to reflect the sun's heat without diminishing incoming light. The inside surface of the outer sheet of glass is triple coated with silver, an element with excellent heat-reflective properties that blocks ultraviolet (UV) rays. Argon gas, sealed between glass panes, provides another barrier to heat transfer. 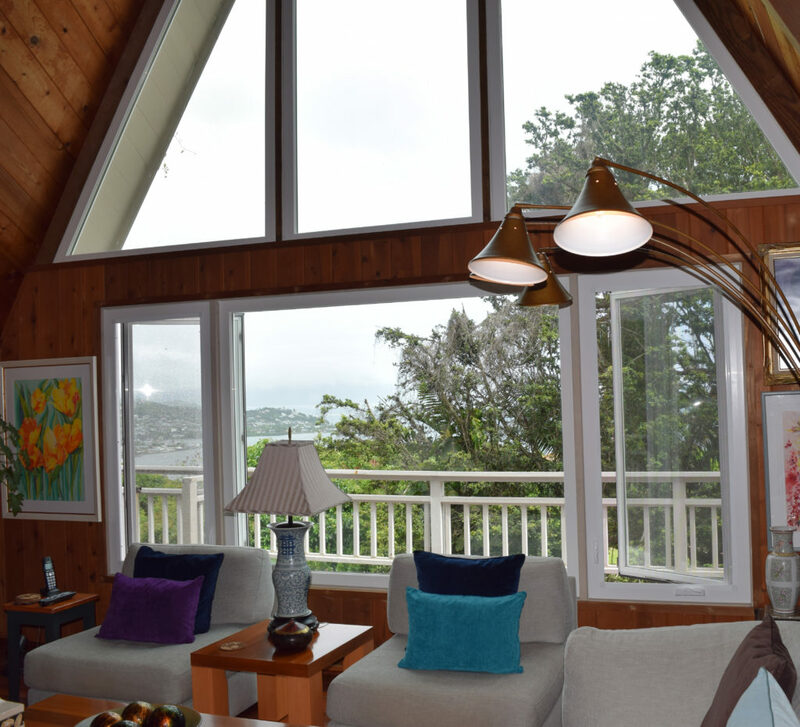 The result: Makai Windows allow beautiful light into your home but drastically reduce heat and 99% of the UV rays that fade drapes, furniture and flooring. Makai Windows use Cardinal's NEAT glass. 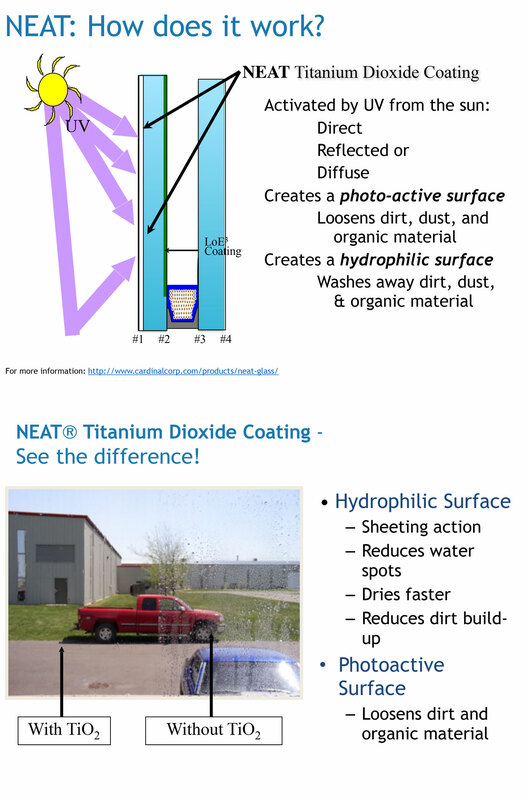 NEAT is a Titanium Dioxide coating that uses two mechanisms to keep windows clean. First, it creates a photoreactive surface that loosens dirt and organic material. Secondly, its smooth super-hydrophilic surface allows water to sheet off, reducing water spots. The result is that, with a little sun and little rain, windows are left clean and virtually spotless. 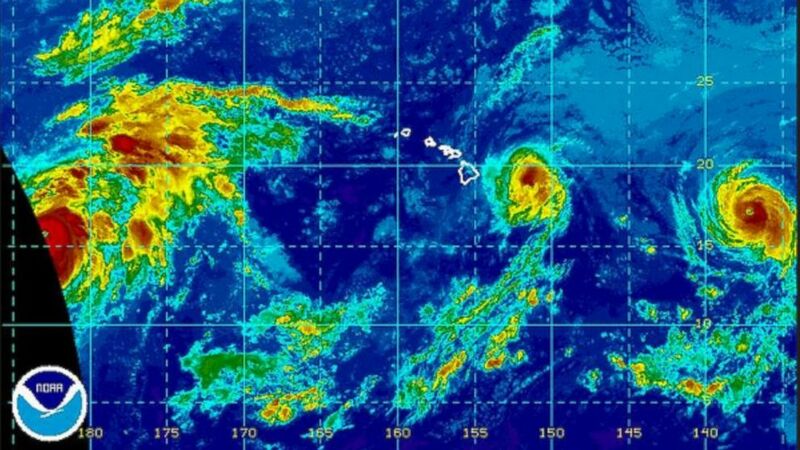 Hawaii is likely to experience a direct hit from a hurricane in the near future. In the last few years, we have been very fortunate to have escaped major damage from storms and hurricanes on Oahu but it’s apparent the weather patterns are changing. In 2015 we saw more storms and hurricanes in the Central and Eastern Pacific than had been experienced for decades prior. For the first time ever, 2016 saw two Category 1 hurricanes come within 100 miles of the islands, one causing damage on the Big Island. In 2014 Hurricane Iselle caused $80 Million in damage. It’s very possible and even likely that one of these hurricanes will, in the near future, directly hit us; if that happens many of the existing windows will be destroyed. 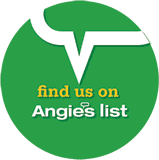 That’s why we offer so many products to help you protect your home and family against storm damage. Makai Range Products: The reinforced vinyl frame of the Makai window series uses a high-impact profile able to withstand considerable force without failing. To complement the strong frame, double strength insulated glass is used, which is twice as thick as most glass used in the majority of replacement windows. 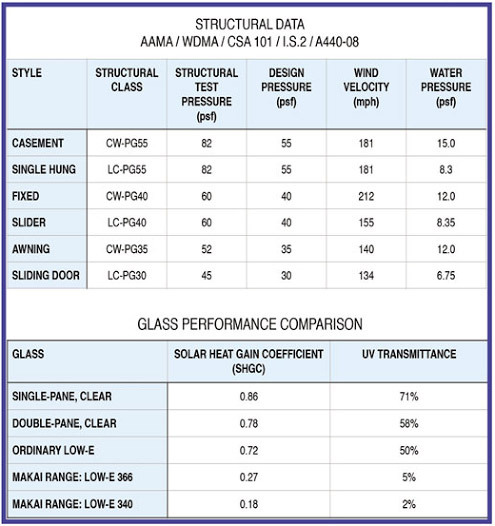 A combination of these sturdy frames and double strength glass enable these windows to endure winds up to 212 mph. In fact, all of the Makai range of windows are so strong that they are commercially rated and are frequently used in high rise condos. 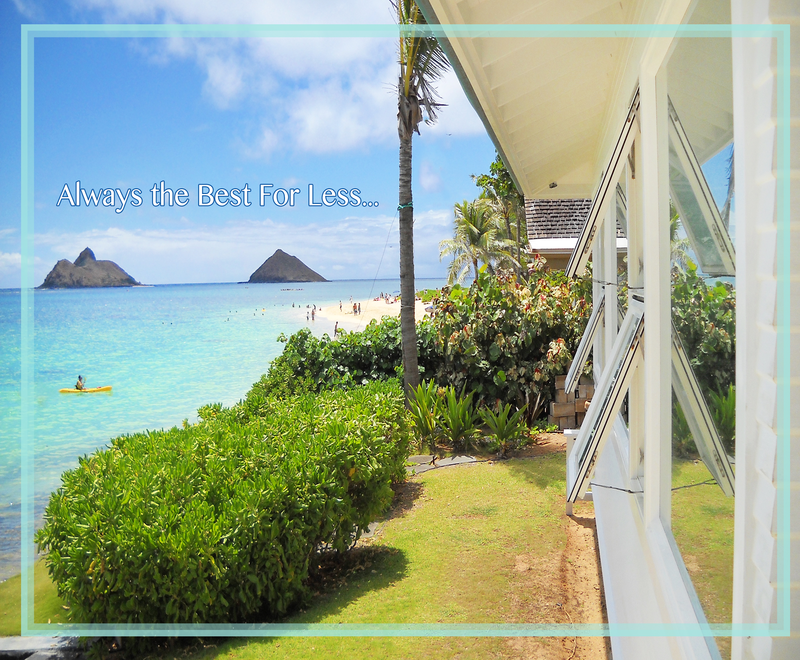 What makes Makai windows so different from others sold in Hawaii? Here's a summary of the benefits and features of Makai windows and doors which distinguish our products from all the others. SEVEN TIMES HARDER THAN PAINT! Disclaimer: The materials on this website can change without notice.